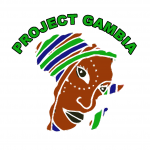 Project Gambia has become a register charity and set up its own Give Penny page. Support us by donating items – We are currently gratefully accepting these items as donations for local schools and our medical centre. Good quality adults and childrens clothing, shoes, football shirts, school uniform. Plasters, bandages, sterile dressings, disposable sterile gloves, alcohol free cleansing wipes, antiseptic cream and hand wash, eye wash and eye baths, distilled water, painkillers (paracetomol, ibruprofen, calpol). ALL medical supplied must be within the expiry date.